With great thanks to God and to the faithfulness of the CPBC community, I am delighted to announce the successful completion of The Wilderness Campaign! In December of 2015, I shared with you a vision to enhance Covenant Point campers’ engagement with our wilderness setting. Believing this to be an increasingly rare and deeply valuable component of our ministry, a small campaign team comprised of staff alumni and camper parents asked you to consider joining this effort with a gift or pledge. In less than two years, 242 donor families, individuals, and foundations have responded by giving, which surpassed our $300,000 goal with a total of $338,000! 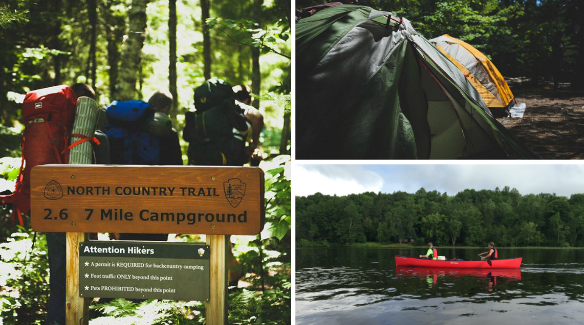 I have watched these new resources be put into action, sharing in the joy of campers as they engaged in new outdoor activities, learned wilderness skills that built confidence, and grew more at home in and as God’s beloved creation. 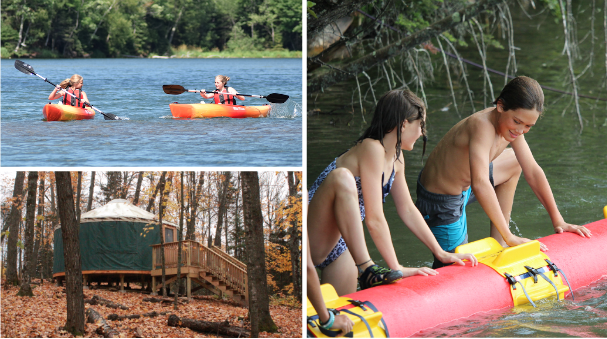 Yurts, canoes, kayaks, camping and safety equipment, a permanent storage facility, and an endowment fund: these additions have already made an impact – and there’s even more to come as we fully utilize what has been given. As a valued partner in ministry, I want you to know that the trust you have in Covenant Point to thoughtfully and carefully steward each dollar given holds true for these precious resources as well. And, I want you to know just how grateful we are! Those of us who get to work first-hand with our campers appreciate what it means to have the right equipment, facilities, and support to do so safely and effectively. So on behalf of the generations of campers and families whose lives will be touched by your generosity, thank you. Please note that there is a summary of your pledge and gifts on the opposite side of this letter. Since its purchase in 1965, Covenant Point has owned an 8 acre island on Hagerman Lake, slowly and strategically adding spartan structures and challenge elements without disturbing the wild natural integrity. The current summer program can accommodate 32 middle school students per week in a uniquely tight-knit community unplugged from the stresses of modern life. In a culture that is increasingly “plugged in,” we see lives transformed when campers are given access to back country wilderness places by well-trained Christian young adult leaders. 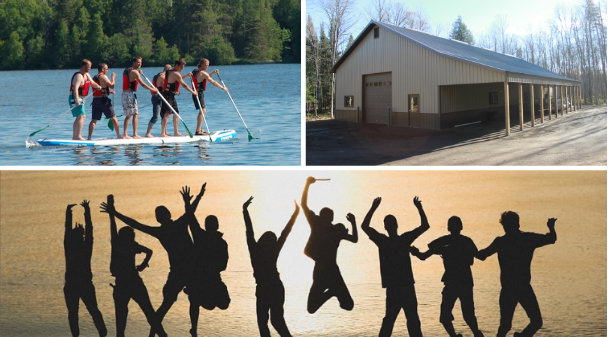 Currently, we guide six, one-week trips throughout the Upper Peninsula and surrounding regions in the course of our summer ministry. These programs are small in size but large in impact. As a discipline of investing in our program and facilities sustainability, we are seeking to commit a third of our total goal to the establishment of a maintenance endowment. The interest from these resources will fund the ongoing depreciation expenses on the assets supporting these programs. All Covenant Point endowment funds are held under the careful stewardship of Covenant Trust Company.